Sunday night as I was taking inventory of our pantry, I realized we didn't have any Italian breadcrumbs. I almost always keep a container of these on hand, and actually needed them for Monday night's dinner. The last thing that I wanted to do after getting back into town was head back out to the grocery store. So what did I do instead? Started Googling. 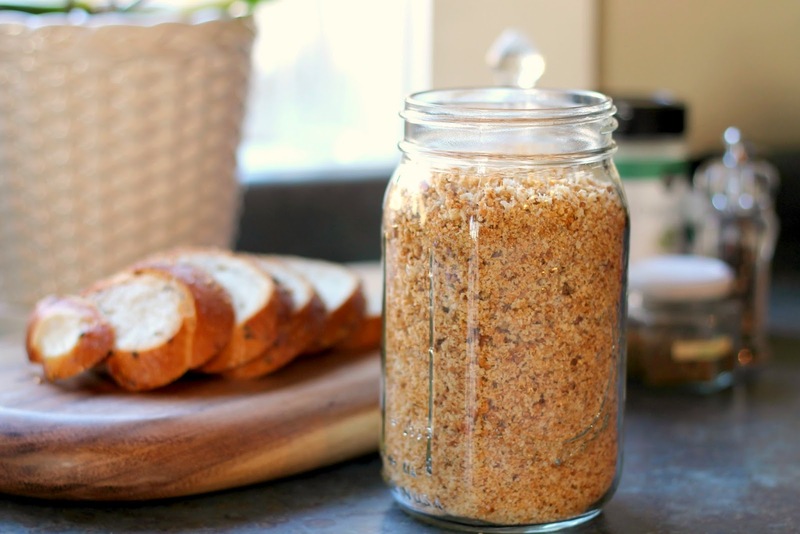 I found a couple of recipes for homemade Italian breadcrumbs and combined a few of them to create a recipe consisting of the ingredients that I had on hand. I had half a loaf of stale wheat bread and half a loaf of Italian five grain bread that was just a day or two past its prime. Here's the recipe that I concocted. Place all of the ingredients into a blender and pulse until coarse crumbs form. 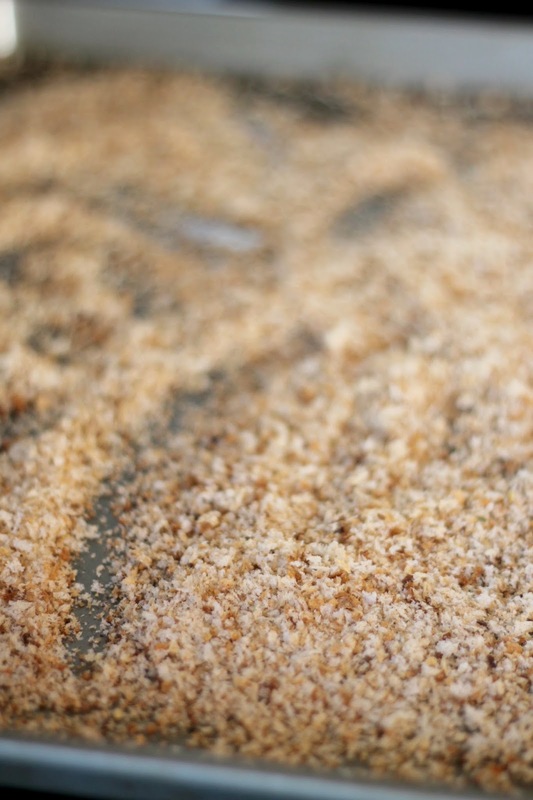 Spread the crumbs evenly onto a large baking sheet. 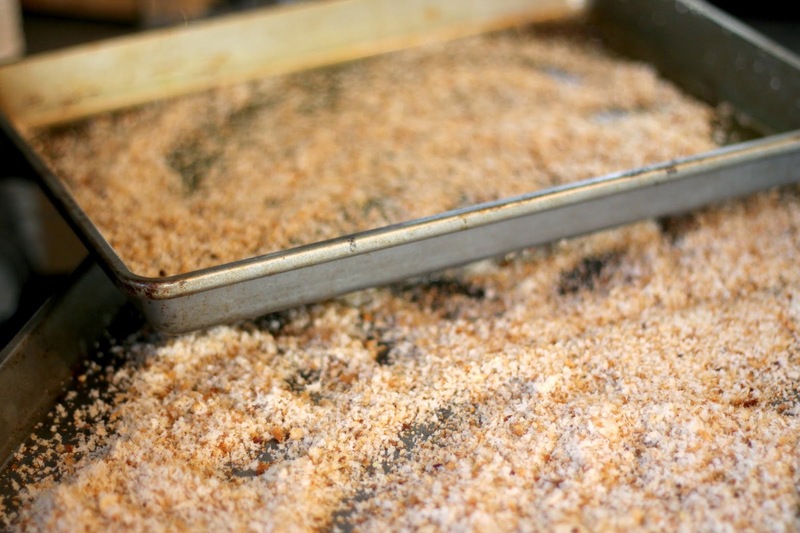 Bake the crumbs for about 5 minutes at 300, until they begin to brown and are crisp. Cool for 15 to 20 minutes and store in a mason jar at room temperature for up to 2 weeks. The breadcrumbs turned out better than I thought they would, plus they made the house smell amazing. I used them in the Eggplant Parmesan that I made last night and I could really tell a difference. There was much more flavor, and the breadcrumbs were so much crunchier than the store bought kind. 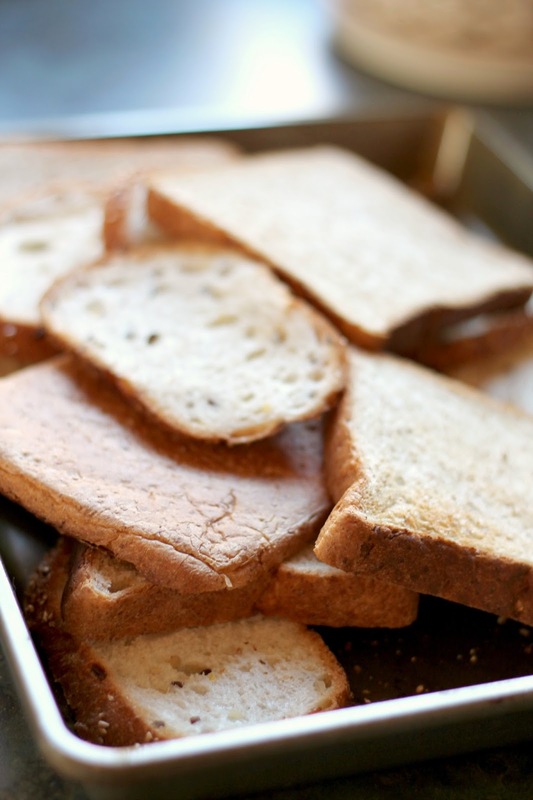 What a great use for stale bread! A Trip to Bacon Bros.